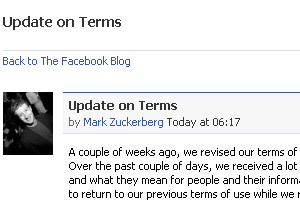 Facebook had changed a previous clause that meant that when you closed an account on their network, all rights to uploaded material would expire. When this was quietly changed to say that the company would be free to do what they like with the content for as long as they like – including flogging it off via sublicenses – all hell broke loose. 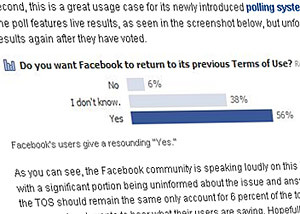 In response, Facebook hastily plastered up blog posts on the topic, and ran a poll to see if users preferred the original ToS (the answer was a resounding ‘yes’). If you are using Facebook, we recommend you check out this useful resource which highlights the best way to ensure your privacy is protected when using the service: AllFacebook.